4. Using a medium ladle pour a little bit of the mixture into hot oil and fry till golden brown or for 1 to 2 minutes on each side. 6. Serve hot with chutney or sauce of choice. 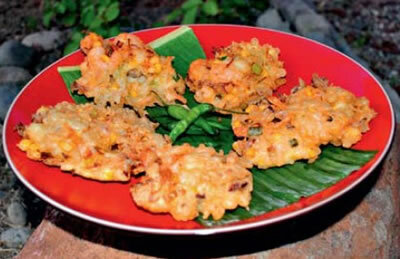 Feel free to comment or share your thoughts on this Corn and Shrimp Fritters Recipe from Awesome Cuisine.